Recently I've been going the gym a lot for... reasons. And this is one of my favourite songs to work out to. I dunno what it is but it's just such a good song to get pumped up to. You feel ready to take on the world and that's all you need for a good work out song. Anyway, Eminem is on top form in this song. And this album for that matter. When Eminem announced a sequel to "The Marshall Mathers LP" I was intrigued. It's one of my all time favourite hip hop albums and to even compare a sequel to the original it had to be good. And while it's not as good as the original, it's a damn fine effort. 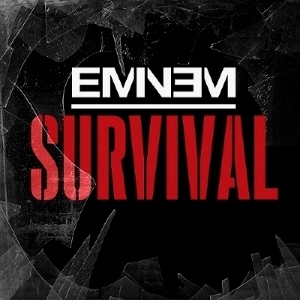 And "Survival" is one of the best songs on the album, simply put. Eminem raps really well here, and, being a rock fan, hearing a cool guitar riff and some nice drums as a beat is a big plus from me. If you missed #75 go here.